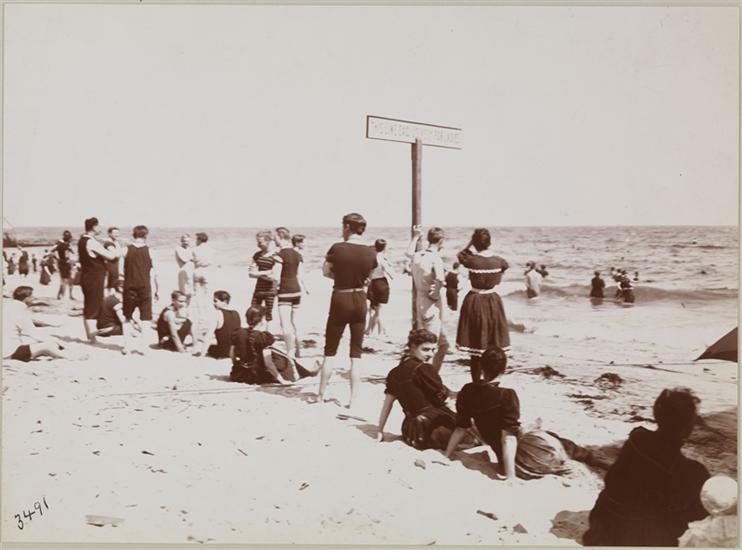 Museum of the City of New York - Sports, Bathing, Far Rockaway. 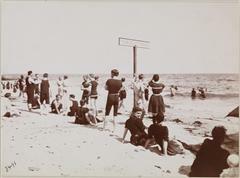 People in bathing suits on the beach at Far Rockaway. A sign on the beach says, "This line exclusively for ladies".